Located east of Meeker, Colorado at the edge of the Flat Tops Wilderness, Ute Lodge is an escape from the ordinary, a base for your mountain activities and a world away from your everyday. We have a variety of lodging options to choose from; a selection of cabins, RV camping, & tent camping and if you’re looking for some peace and quiet there’s our unique Old Baldy Yurt with its spectacular wilderness views. 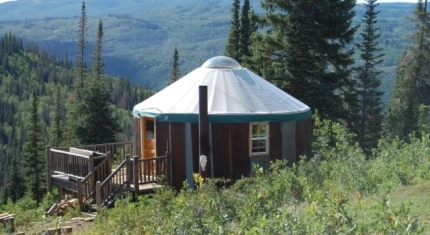 Go to our lodging page to book the perfect camp site, cabin rental, or yurt for your Colorado vacation.